Do I need double fire protection for irreplaceable documents? Fire protection on a modular safe is rated at 2300°F for one hour to provide dependable document security. 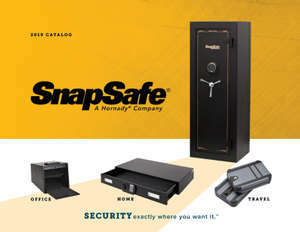 However, we recommend home safes and security vaults that store important paperwork should also use a fire resistant document box and then put the box in the safe for extra protection. We're going to take care of you. Period. Get Updates Want to Know More? To receive your FREE copy of our catalog, just fill out the simple form. © Hornady Manufacturing. All rights Reserved. Webiste design and development by IdeaBank Marketing.